Two of the most beloved icons in the world, Mario and Sonic, are joining forces to star in Mario and Sonic at the Olympic Games. Developed exclusively for the Wii video game system and the Nintendo DS system, this momentous agreement marks the first time these two renowned stars have appeared together in a game. Featuring an all-star cast of characters from the amazing worlds of both Mario and Sonic, players will be able to compete as or against a range of familiar characters including Mario, Sonic, Luigi, Knuckles, Yoshi, Tails, and more. 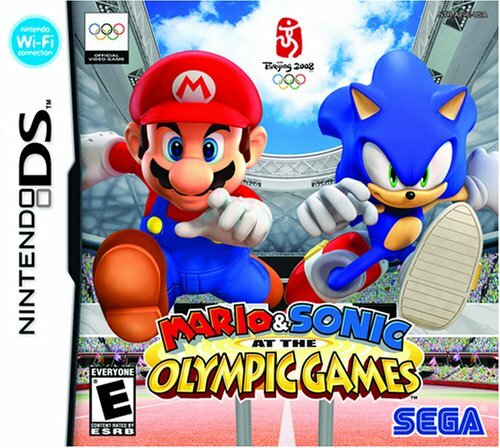 Innovative usage of the Wii and DS control systems to maneuver your favorite character will allow players to race the likes of Mario and Sonic down the 100m track, leap over the high jump, or churn water in a swimming heat, all while competing for the much sought-after Olympic gold medal. With up to four players on the Wii and on the DS, the stage is set to catch the fever this holiday with Mario and Sonic.